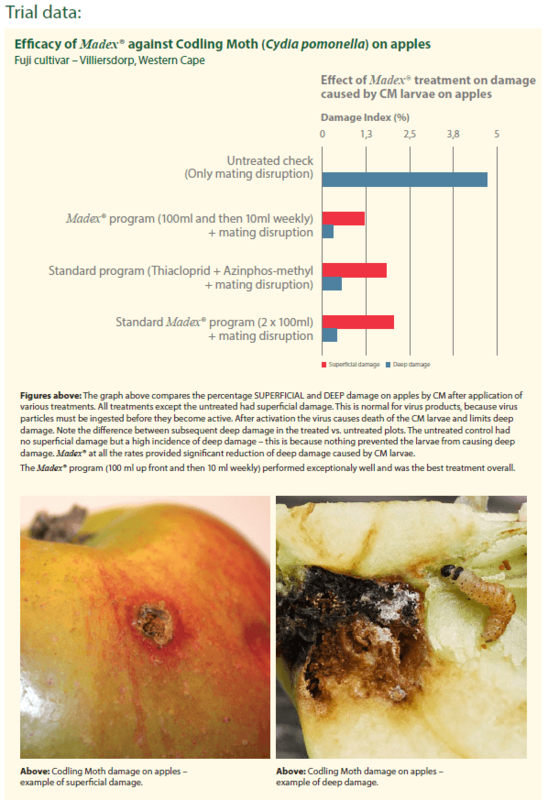 Advanced granulovirus technology for the reduction of Codling Moth on Apples and Pears. An advanced SC formulation of the Cydia pomonella granulovirus for the biological reduction of Codling Moth. Ideal for use in IPM and resistance management programs. Highly effective biological reduction of Codling Moth populations. 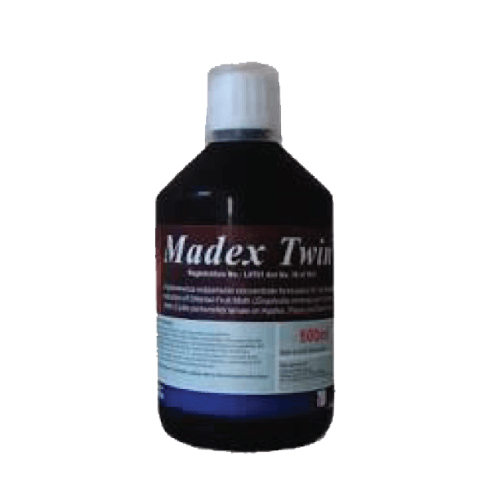 Virus active makes Madex an ideal product for IPM and resistance management programs. Safeguard your chemistry. Highly specific target range, will not harm beneficial insect populations. No risk of secondary pest outbreaks and safe for use during periods of bee activity. Superior formulation that does not freeze in cold storage, can be mixed immediately saving preparation time prior to application. Highly concentrated SC formulation of the Cydia pomonella granulovirus. Manufactured to the highest standard by world renowned virus specialists Andermatt Biocontrol. Natural product with no chemical additives, suitable for organic use. Registered for use on apples and pears. Excellent shelf life of up to 24 months at 40°C and indefinite when frozen.